Noel said the project gives students future apprenticeship hours, a high school class credit and a paycheque. "The cool thing about the tiny house build is it still goes through every ticketed and non-ticketed trade, and every module is a segment of the build so they're going to get exposed to every career option in building a house," he said. "So we're going to inspire the kids with a few ideas of what they can do in the future." Sixteen-year-old Jerez Whitecow said while he's excited to get paid and get a class credit, he's mostly excited about the experience. "I'm going to try and be the best builder out there, I always wanted to be a carpenter or mechanic when I grow up," he said. The project was funded by a $250,000 grant from Indigenous Services Canada. It has already been tested in Saskatchewan. Byron Jackson, chief executive of Piikani Nation, said there is an increasing need for housing in the community. "With 418 homes and about 2,500 to 2,700 people residing here on the nation, the math speaks for itself. Not enough homes," he said. "A housing crisis here on Piikani is something that has been looked at for a long time." Jackson said price, and utility-cost are some of the benefits the council will be looking at with the tiny-home project. 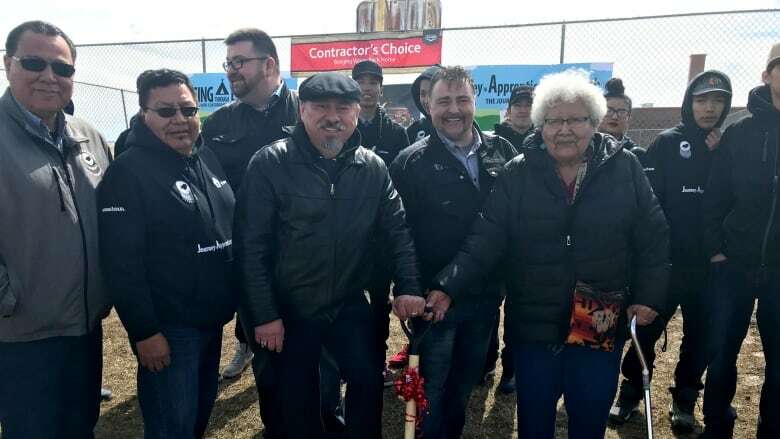 He described Joyce Little Moustache, the elder who will be moving into the first home, as a respected member of the community. Little Moustache said she can't wait to move in. "I feel very excited and I think I'll be overwhelmed when it happens," she said.